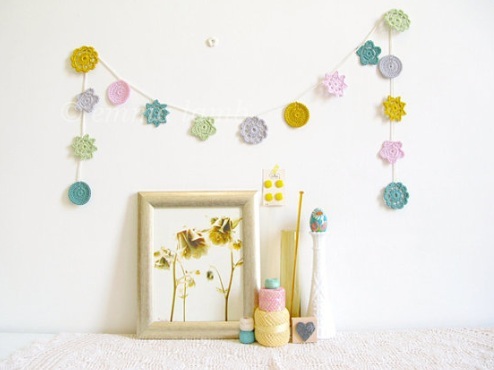 Handmade decorations - Oh So Girly! 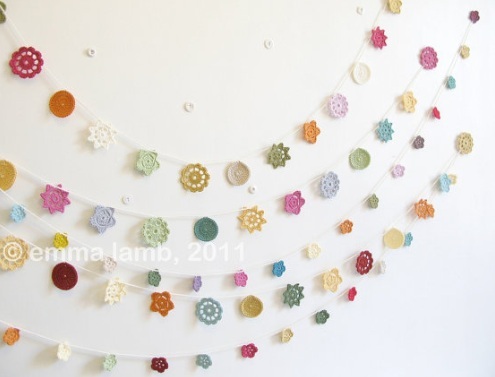 As I was browsing on Etsy, I came across the colorful and uplifting crochet work of Emma Lamb who currently specializes in making handmade garlands and other pretty crochet decorations. 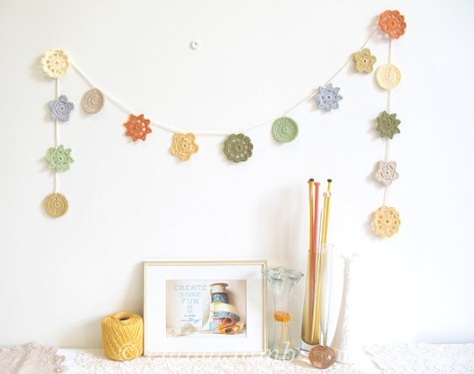 I really do think that these cute garlands would make a great decorative homespun addition to any room with floral, folk or shabby chic, girly decor. 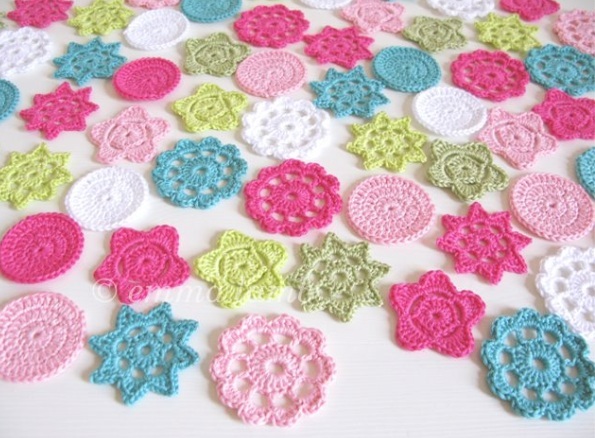 I wonder if they could also double as unique handmade Christmas decorations to hang on the tree instead of tinsel ~ I think that could look sweet! You can find more of Emma’s beautiful work at her Etsy shop here. 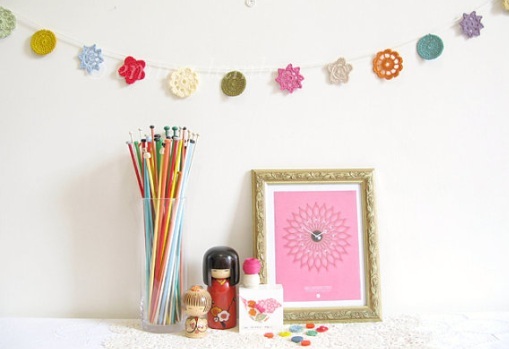 Thank you so much for such a wonderful wee feature for my Forever Flower Garlands, I am honoured!